The popularity of Mason jar mixes is taking the country by storm! These beautifully decorated jars are filled with attractive layers of ingredients for making a variety of scrumptious kitchen creations. Topped with an eye-catching square of fabric that is tied on with decorative twine or ribbon, these jars are a pleasure to give and a joy to receive. In The Mason Jar Soup-to-Nuts Cookbook, culinary expert Lonnette Parks show you just how easy it is to assemble the ingredients to place in the jar. 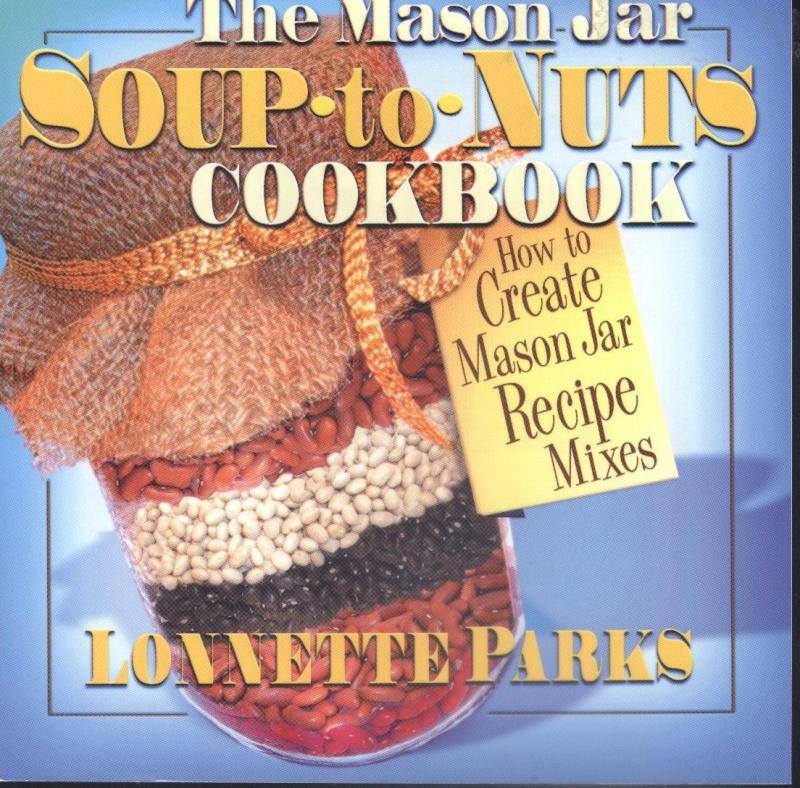 Within these pages you will find 50 recipes for satisfying soups and stews, delicious hot and cold beverages, and a sensational array of blue-ribbon baked goods. Paperback, c2004, 137 p. : ill. ; 19 cm.